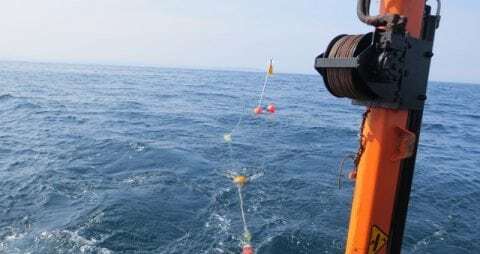 The Centre for the Environment, Fisheries and Aquaculture Science (Cefas) has teamed up with Marine Scotland Science and the University of Exeter to analyse underwater noise data from subsea sound recorders located around the UK coast. The results of the Defra-funded study have now been published in an article titled Underwater noise levels in UK waters in the Nature journal Scientific Reports. Sources of noise in the ocean include: shipping, seismic exploration, and construction activity, such as port extensions or offshore wind farms, as well as natural sources like tidal streams, wave action and earthquakes. There is concern that rising levels of underwater noise pollution from human activities worldwide may have an impact on marine life by interfering with communication, causing changes in behaviour, and raising stress levels. For the first time, the team has drawn together measurements from around the UK coast to make an assessment of underwater noise levels. They found that many sites were exposed to persistent noise from shipping traffic, while other locations were comparatively undisturbed. In addition to shipping noise, the team also identified noise from onshore industrial activities, fishing, and acoustic deterrent devices (ADDs; also known as ‘seal scarers’). 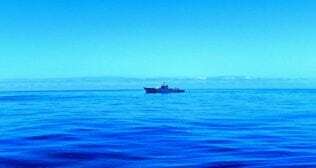 The study will inform UK policy on underwater noise pollution, and forms the basis of the UK assessment of underwater noise under the EU Marine Strategy Framework Directive (MSFD), which assesses the status of European seas.